The Museum Education Roundtable (MER) is seeking nominations of qualified, committed and diverse professionals for election to the MER Board of Directors! The MER Board of Directors is a working board amounting to a time commitment of a few hours per week on average. Board members participate in scheduled quarterly board meetings and monthly action team meetings via conference call. Board members attend an in-person annual retreat in August. Each board member serves on an action team. Current action teams are Communications and Editorial. 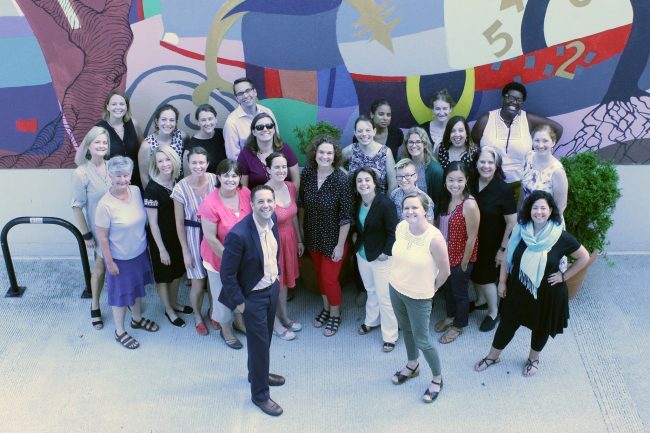 The Communications team coordinates messaging about the JME, MER membership and related activities, works to raise brand awareness, and contributes to the ongoing conversation about museum education. The Editorial team works with the Editor in Chief of the JME to ensure the seamless publication of the quarterly journal, to cultivate and secure guest editors and authors, and to develop themes for upcoming issues. Some board members also serve in officer roles, or on special project task forces. Specific areas of expertise we are currently seeking for the board include: finance, social media, and editorial and publication. Board members serve a three-year term (October 2018 – September 2021). An additional one to three more years is possible for a second term. All incoming and current board members are required to attend the annual Board Retreat each August, which alternates between Washington, D.C. and another city each year. The 2018 retreat will take place in Washington, D.C. on August 5 and 6. While not required, board members are also encouraged to stay for the annual MER Forum on August 7. Board members (or their institutions) must bear the cost of board participation (specifically attendance at the annual retreat) – MER does not reimburse personal expenses incurred by board members. Board members are also expected to maintain MER membership and contribute financially at a level meaningful to them (any amount). Benefits of board service include leadership development, professional networking, and learning about non-profit management, marketing and communications, and academic publishing. You may nominate yourself or a colleague for board service. Both nomination types are equally encouraged. All nominations must include a nomination letter (from the nominee or a colleague) that includes the name, title, and contact information of the nominee and a describes the nominee’s interest and qualifications. The nominee must also fill out an application, indicating the desire and time to actively serve. Applications are available on the MER website www.museumeducation.info or by emailing the MER Nominations Task Force Chair. Nominees must be current members of MER before they are selected as a candidate. Nomination applications must be received via email by March 31, 2018.